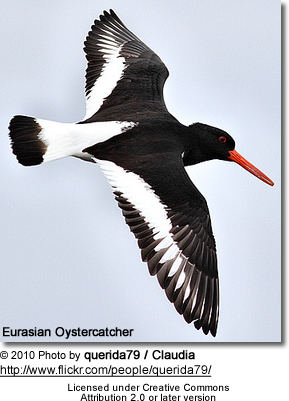 The oystercatchers are a group of waders; they form the family Haematopodidae, which has a single genus, Haematopus. They are found on coasts worldwide apart from the polar regions and some tropical regions of Africa and South East Asia. The exception to this is the Eurasian Oystercatcher and the South Island Oystercatcher, both of which breed inland, far inland in some cases. In the past there has been a great deal of confusion as to the species limits, with discrete populations of all black oystercatchers being afforded specific status but pied oystercatchers being considered one single species. 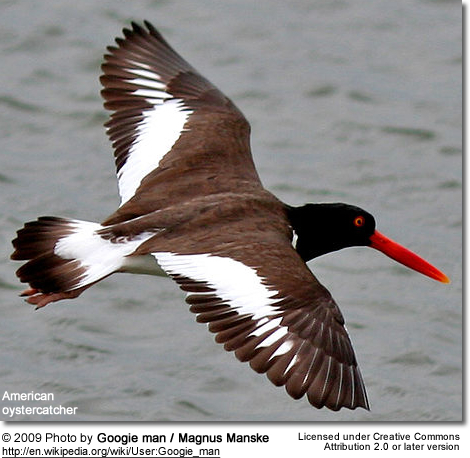 The name oystercatcher was coined by Mark Catesby in 1731 as a common name for the North American species H. palliatus, described as eating oysters. Yarrell in 1843 established this as the preferred term, replacing the older name Sea Pie. The different species of oystercatcher show little variation in shape or appearance. 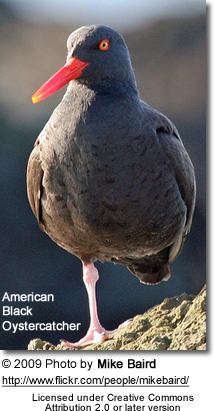 The plumage of all species is either all-black, or black (or dark brown) on top and white underneath. 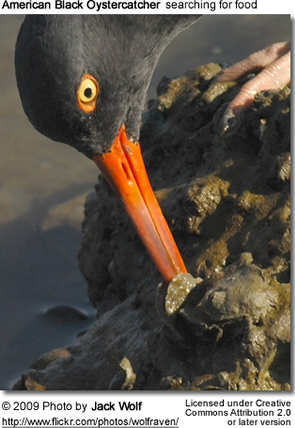 The Variable Oystercatcher is slightly exceptional in being either all-black or pied. They are large, obvious, and noisy plover-like birds, with massive long orange or red bills used for smashing or prying open mollusks. The bill shape varies between species, according to the diet. Those birds with blade-like bill tips pry open or smash mollusc shells, and those with pointed bill tips tend to probe for annelid worms. They show sexual dimorphism, with females being longer-billed and heavier than males. 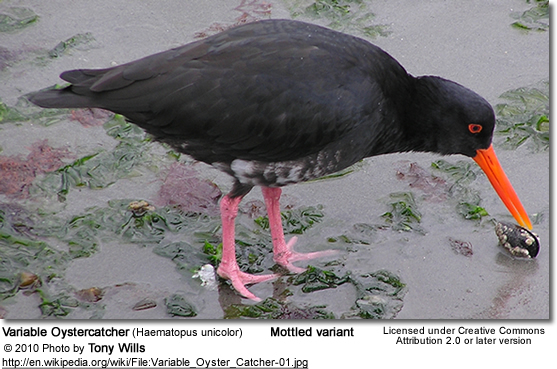 The diet of oystercatchers varies with location. Species occurring inland feed upon earthworms and insect larvae. 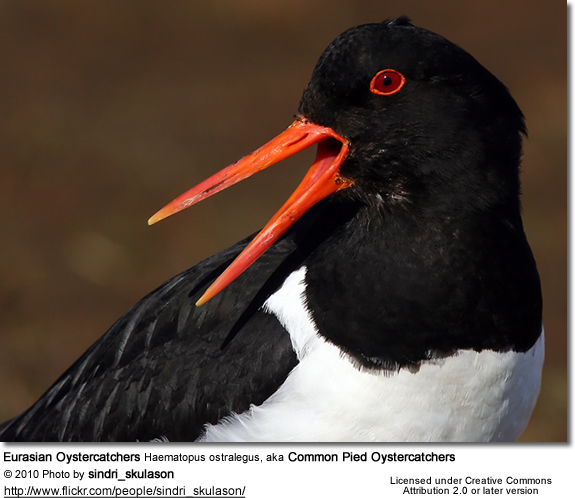 The diet of coastal oystercatchers is more varied, although dependent upon coast type; on estuaries bivalves, gastropods and polychaet worms are the most important part of the diet, where rocky shore oystercatchers prey upon limpets, mussels, gastropos and chitons. Other prey items include echinoderms, fish, and crabs. 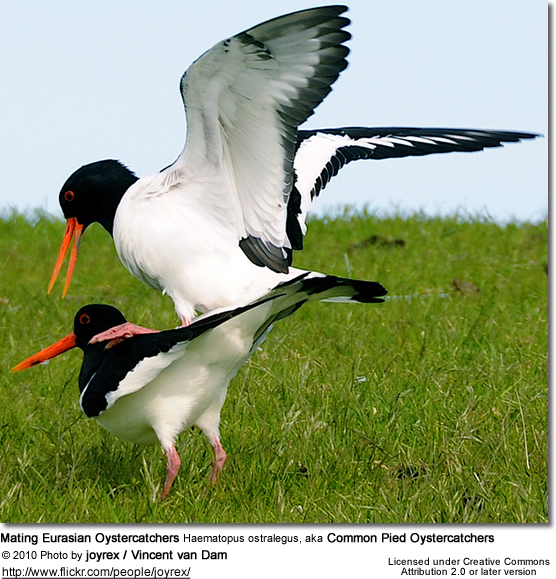 All species of oystercatcher are generally monogamous, although there are reports of polygamy in the Eurasian Oystercatcher. They are territorial during the breeding season (with a few species defending territories year round). There is strong mate and site fidelity in the species that have been studied, with one record of a pair defending the same site for 20 years. A single nesting attempt is made per breeding season, which is timed over the summer months. The nests of oystercatchers are simple affairs, scrapes in the ground which may be lined, and placed in a spot with good visibility. The eggs of oystercatchers are spotted and cryptic. Between one and four eggs are laid, with three being typical in the Northern Hemisphere and two in the south. Incubation is shared but not proportionally, females tend to take more incubation and males engage in more territory defense. Incubation varies by species, lasting between 24–39 days. 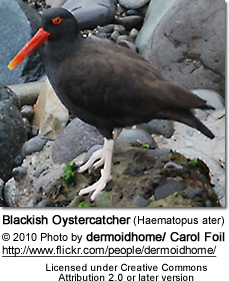 One species of oystercatcher became extinct during the 20th century, the Canarian Black Oystercatcher. 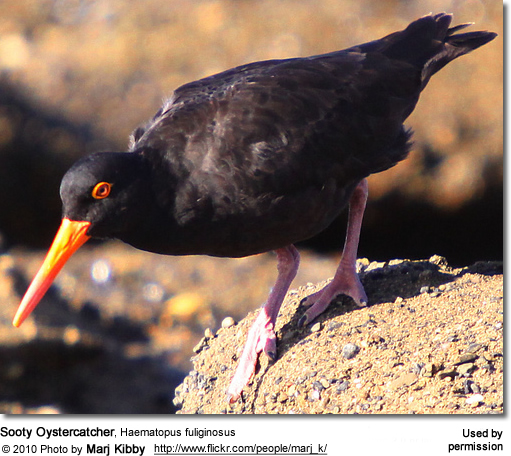 Another species, the Chatham Island Oystercatcher, which is endemic to the Chatham Islands of New Zealand, is listed as endangered by the IUCN, and the African Black Oystercatcher is considered near threatened. In the past there has been conflict with commercial shellfish farmers, but studies have found that the impact of oystercatchers is much smaller than that of shore crabs. Lockwood, W B (1993). The Oxford Dictionary of British Bird Names. OUP. ISBN 978-0198661962.